Ageing rockers the Rolling stones have astonished fans with their extortionate prices for their forthcoming London shows. Members Mick Jagger, Keith Richards, Ronnie Wood and Charlie Watts are charging up to £950 for a VIP package. When the November 25th and 29th concerts for the band's 50th anniversary were announced, the ticket prices ranged from £95 to £375. The VIP hospitality packages were then introduced at £950, an amount that was heavily defended by member Ronnie Wood, “We've already spent a million on rehearsing in Paris and the stage is going to be another few million, and the lights. We feel no bad thing about ticket prices. We've got to make something." Keith Richards previously said he didn't see a problem with the price tag either, saying that he thought they were "about right" - although he seemingly contradicted himself by adding, "I just wanna do some shows and I don't want to charge over the bloody top." The VIP packages includes, premium seating, a Champagne reception, a three course Michelin Star dinner, complimentary drinks all evening, a souvenir show programme, VIP fast track entry and post-concert snacks. Not bad if you can spare the money! 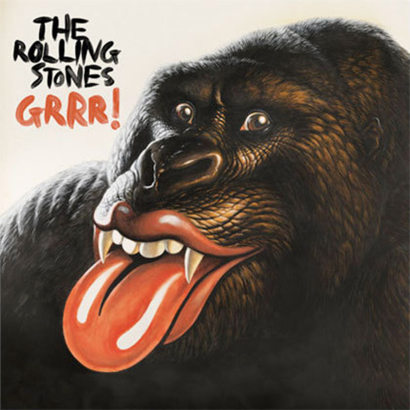 On Monday the 12th of November the band will release their 50th anniversary greatest Hits album named ‘Grrr!’ which features two new tracks. Other songs included are classics such as ‘(I Can't Get No) Satisfaction’, ‘Jumpin Jack Flash’ and ‘Honky Tonk Women’.